Enjoy the outdoors with your family and friends surrounded by the beauty of an outdoor kitchen, fire pit, or fireplace. 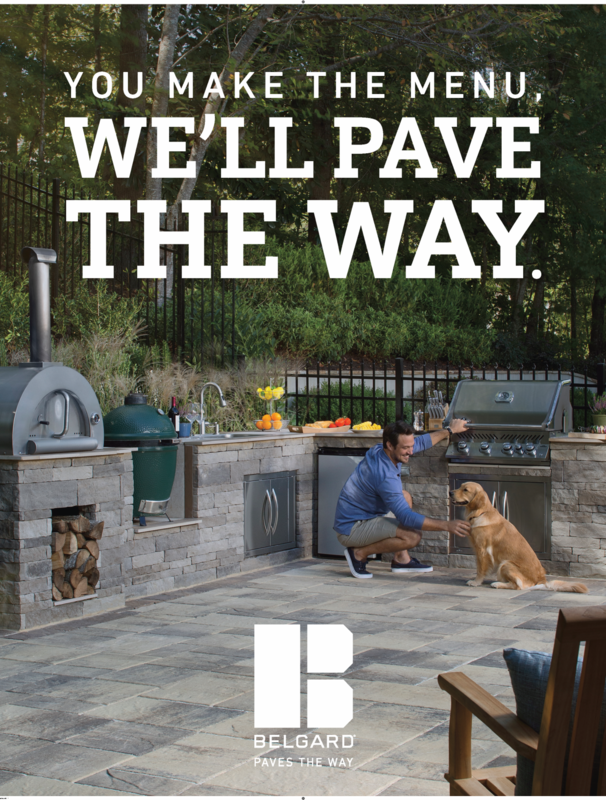 We offer a wide selection of wonderful pieces, including the patented Belgard Elements outdoor fireplaces and brick ovens, to provide some warmth and create a more social atmosphere. There are many reasons to include stone and sand in your landscaping project. One benefit of stone is that it will last and not breakdown, thus creating less work in the long run. Once you put it down you can be sure it will be there for a while. If you are looking to keep the weeds down, keep the moisture in, and add a decorative look to your planting bed try one of our quality mulch products. They vary in color, texture and size. Receive 15% off all Spring grills! Click to view ad! 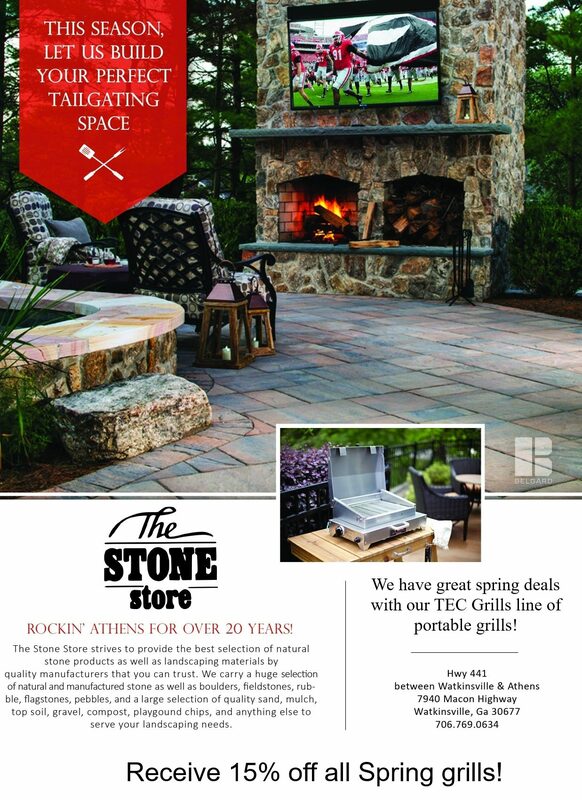 Let us be your partner in outdoor living! 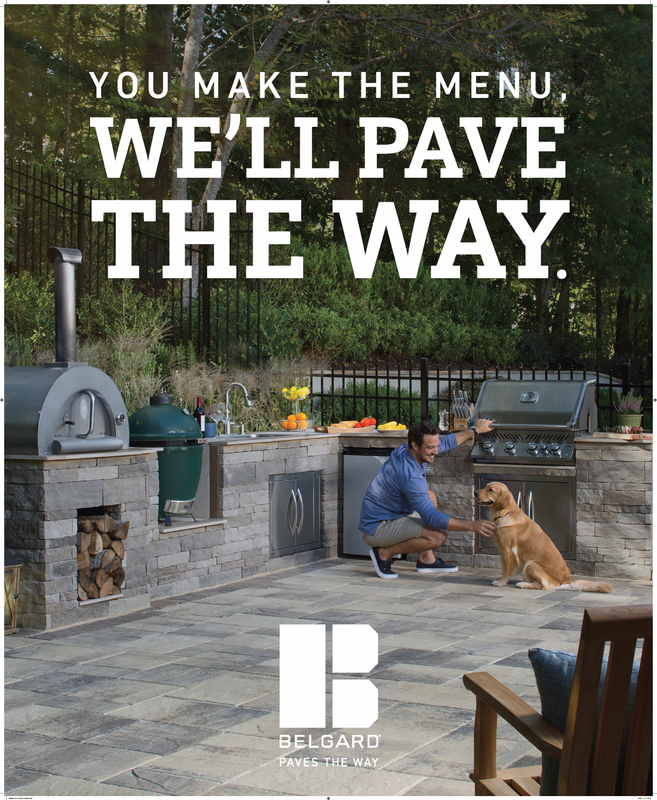 Let our Belgard products help you pave the way to your outdoor adventures! Rockin the Athens area for over 20 years! The Stone Store strives to provide the best selection of natural stone products as well as landscaping materials by quality manufacturers that you can trust. We carry a huge selection of natural and manufactured stone as well as boulders, fieldstones, rubble, flagstones, pebbles, and a whole lot more. We also carry a large selection of landscaping supplies, quality sand, mulch, soil, gravel, and anything else to serve your landscaping needs. We also carry top quality brick dust and infield mix that will give your athletic field a fresh and professional look. We will work with you, whether you are a residential homeowner or a professional contractor or landscaper, to help you determine the right materials and amounts needed for any of your projects, large or small. If you can't find what you need from our large selection, we can also special order any specialty item we don't stock. We serve the entire Southeastern U.S. and will deliver direct to you! 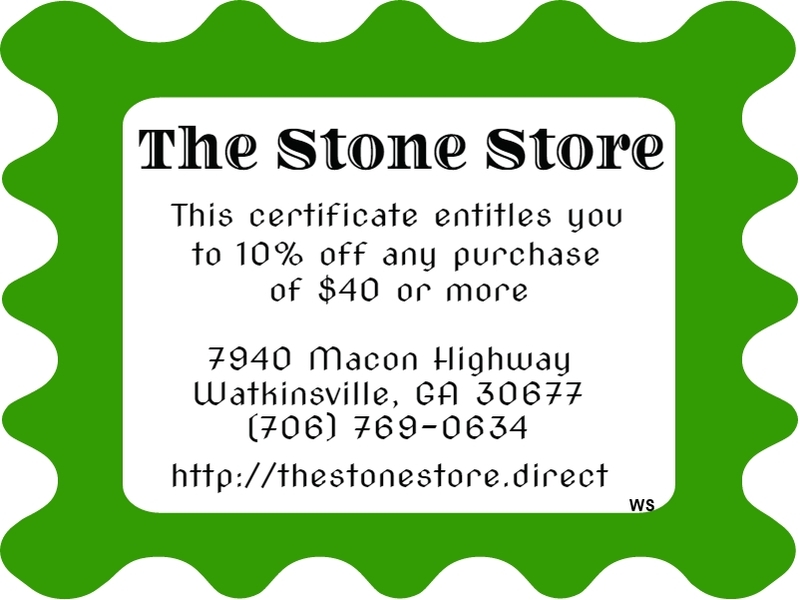 Bring this coupon in on your next visit!